Bright Phoebus is one of the true lost albums in the English music canon, Getintothis’ Paul Baker was witness to a show that paid tribute to its immense power and mulled on how the album has inspired him onto a new musical journey. AS a younger, fanatical music buyer, I was fascinated by Neil Young’s then long-deleted classic ’70s albums On the Beach and Time Fades Away. These buried gems were my Holy Grail for a time. But, after recently hearing an ensemble of musicians, including Richard Hawley and Martin Carthy, visit the Philharmonic Hall to perform songs from lost English folk album Bright Phoebus, I have found a new cup to quest for. Bright Phoebus was released in 1972 by Lal and Mike Waterson. They, along with sister Norma and other relations were part of The Watersons, a family group singing traditional songs which helped spearhead the English folk revival of the 1960s. By ’68 the group were all but burnt out by constant touring and went their separate ways. When Mike subsequently teamed up with sister Lal, the strange original songs they had created in the meantime came to the attention of Martin Carthy, then a member of ’70s folk-rock group Steeleye Span. 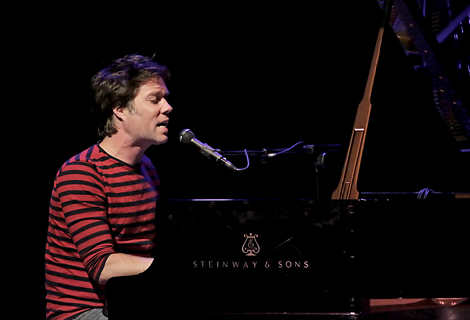 Carthy urged the duo to get the songs recorded and one of the great lost albums in popular music history, Bright Phoebus, was the result. Going back to those two Neil Young albums I mentioned, getting hold of them wasn’t that difficult in the end. On the Beach received an eventual full CD release and decent used vinyl copies of Time Fades Away proved not too hard to pick up second hand on the internet. Bright Phoebus is in another league of rarity. Apparently 2,000 copies of the album were pressed on its release in 1972 but 1,000 of these had the hole pressed in the wrong location rendering them entirely unplayable. The album subsequently flopped and was never re-released (except apparently for a small CD run in the 80s). Yet, in the intervening years, critics and musicians lucky enough to have a copy began to hail it as a classic English album. Currently there is one vinyl copy on eBay retailing for around £300, while flimsy CD-Rs of the album sell for £15 a pop. The masters are currently languishing under lock and key, never remastered by the record company that owns them, believing there was no market there! The album was recorded in the basement of Cecil Sharp House, a famed archive for British folk music and lyrics, under the guidance of Martin Carthy and Ashley Hutchings (a founder member of both Steeleye Span and Fairport Convention). The two seasoned folkies would back them on the album, along with guitar genius Richard Thompson, and Steeleye Span’s lead vocalists Maddy Prior and Tim Hart. The collection of songs that became Bright Phoebus have been described as the Sgt. Pepper’s of folk music. Taking my seat at the Phil last week, I was suitably intrigued. Called Bright Phoebus Revisited, this short five date series of concerts was into its third night when it arrived in Liverpool. Designed as a tribute to the late Lal and Mike Waterson, and as a way to give these lost songs an airing befitting their quality, there were some stellar artists gracing the stage. The core of the group came from the Waterson family itself – Lal and Mike’s sister Norma, Lal’s daughter Marry, and Norma’s daughter to husband Martin, Eliza Carthy. 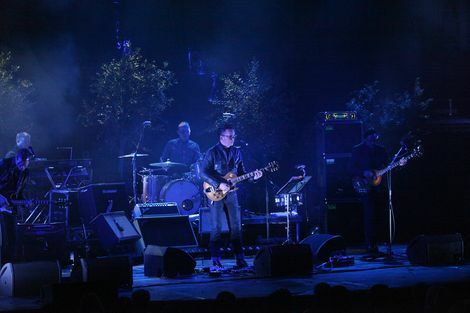 They were backed by talented fans and friends, Richard Hawley and Kami Thompson (daughter of Richard and Linda). Willowy Pulp frontman Jarvis Cocker had started the tour but didn’t make it to Liverpool. Apparently Richard Reed Parry of Arcade Fire had even tried to join the ensemble but couldn’t balance his commitments. Such is the esteem in which Bright Phoebus is held. Bringing strong male vocals to the group was John Smith – a multi-talented singer and musician who will be familiar to many of the city’s gig-goers as he honed his skills on the Liverpool music scene of the mid-to-late 2000s. 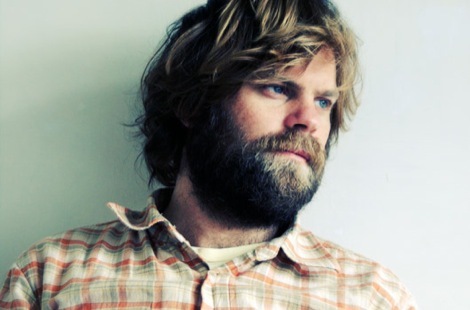 On the evidence of this performance on the Phil stage, he’s well on his way to the big time, his voice and playing allowing him to get somewhere near to stepping into the boots left vacant by the late John Martyn. The night started with a rousing ensemble piece called Rubber Band, Norma and Eliza beaming and pulling the audience into this Strawbsy psych-folk number. Marry then took the lead on the haunting ballad Fine Horseman. Its sound was more what you’d expect from traditional folk music, but the chords and vocal lines were so troubling and unfamiliar, it was like Lal Waterson had conjured them up from some other realm. Martin Carthy took on some of the more difficult, angular chord progressions with his two solo efforts, complaining about the bizarre tunings he found himself having to play in. The weird tune Winifer Odd that he performed certainly lived up to its name. 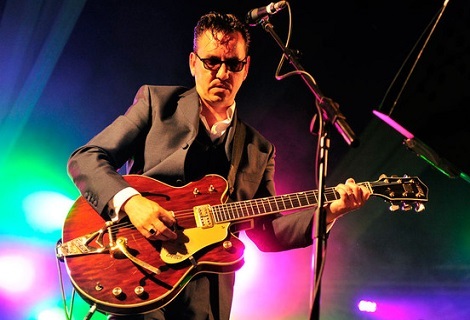 Star guest Richard Hawley popped up with a full-on rockabilly take on one of Mike Waterson’s tunes, Danny Rose. He and Mike were friends, explained Hawley, and even revealed that Mike was once a rocker himself, before the folkie days. Hawley was evidently enjoying himself throughout, backing the singers on slide guitar, providing husky vocals and even doing a conjuring trick at the climax of Magical Man. Eliza and Kami Thompson both showed the full range and beauty of their voices, including some fine duets with John Smith. And, of course, Norma was able to steal the show from her seat in the centre, not just with her heart-breaking vocal performances, but with the sight of her listening intently, teary-eyed at times, mouthing along with nearly every lyric. 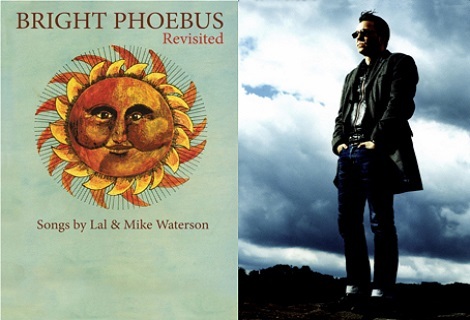 The night certainly seemed a fitting tribute to Lal and Mike, as much as to the mysterious Bright Phoebus itself, and like the smiling sun referenced in its title, the album’s songs proved by turns darkly beautiful, then dazzlingly brilliant. At the last, everyone hit the stage for the album’s singalong title track, its refrain still ringing in my brain days after. Let’s hope these concerts mean the record finally gets the re-mastering and re-releasing it obviously deserves. At the very least, my ongoing musical Grailquest demands it.